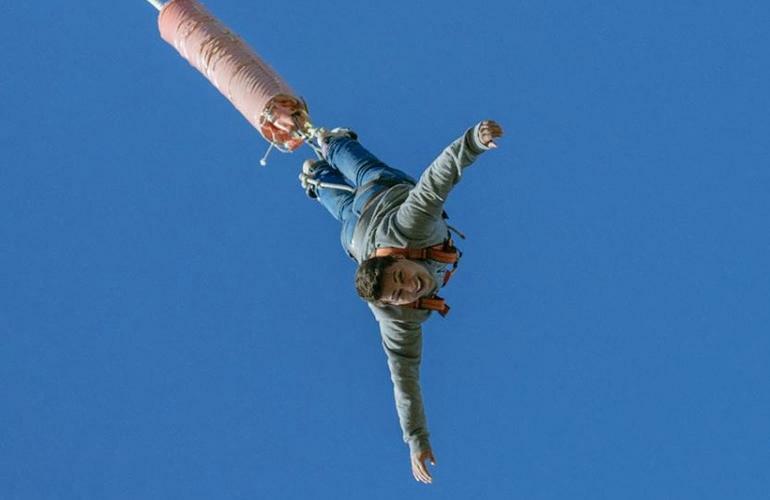 Take a deep breath, clear your mind, and JUMP from the hightest bungee jumping tower in Spain! 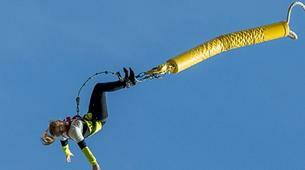 The classic bungee jump is the first step for anyone who wishes to part on a new adventure with one of the most extreme sports: bungee jump. 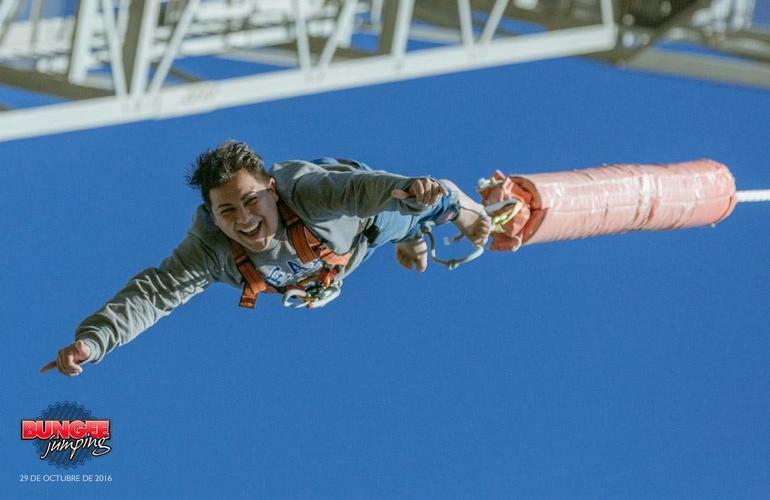 A classic jump consists of one jump from a tower at 70 meters, high enough for you to yell your stress out and fill your body with adrenaline! 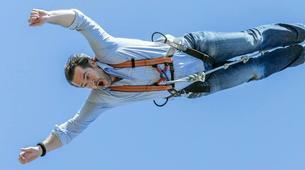 At Lloret de Mar, near Barcelona, you will meet your guides who will prepare you for your jump. An individual jump is a personal jump, it's you facing your fears and conquering them! 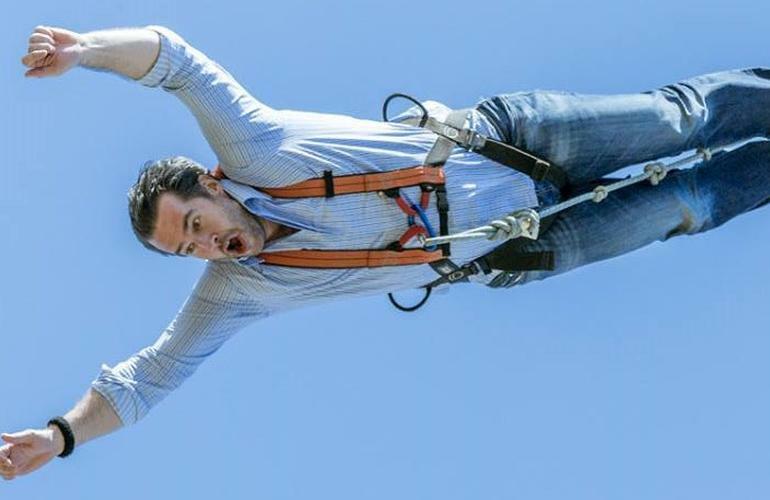 For a first jump, 70 meters is an excellent height, Puenting Barcelona suggest to jump face forward and as far from the tower as you can with arms open, it will make a great picture! 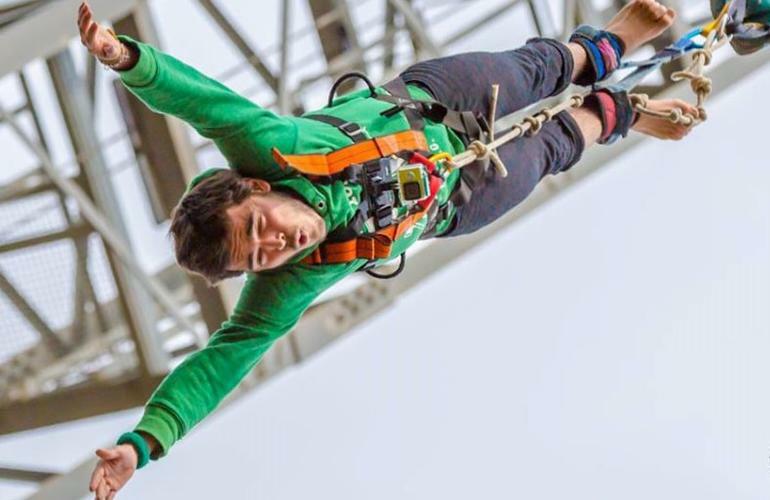 Embrace the free-fall and feel almighty and free! 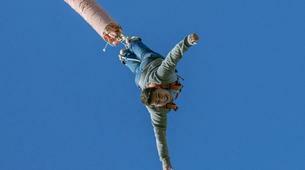 Bungee jumping is one of the most extreme memories you can ever do and a once in life experience everyone should have. Price per person for individual jumps is 65€, which decreases when reserving for multiple jumps (up to 10). 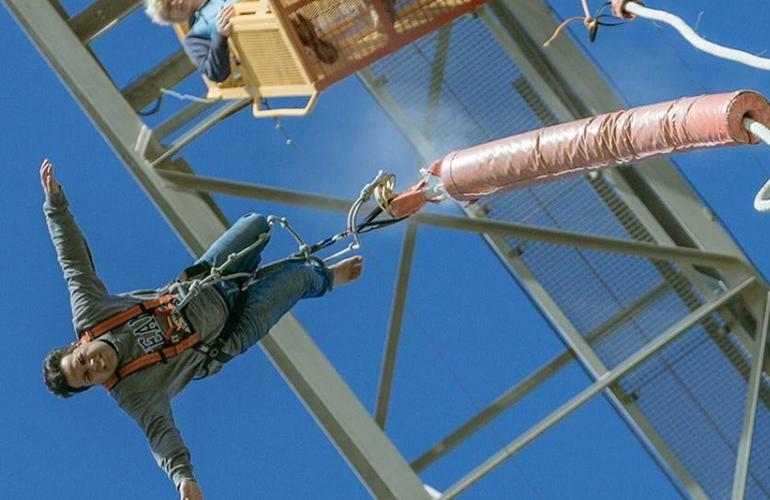 If you don't want to be alone while you face gravity, this is the perfect bungee jump for you! 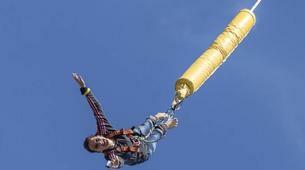 On a tandem bungee jump you will be able to jump with you partner, friend, or a family member. Why not share this one-of-kind-experience with someone close! 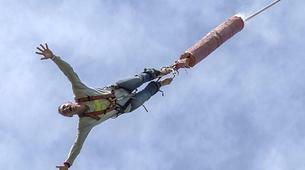 Tandem bungee jump is an innovative alternative to bungee jumping, also it's not that common in Europe! Jumping accompanied is an amazing experience, and for those love birds out there it can be a declaration of love! Whatever the case, you will surely have a memory to cherish for the rest of your life. 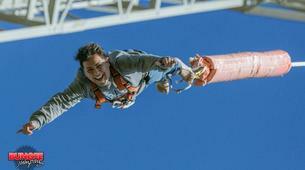 Sharing with someone the thrill and excitement gives this bungee jump an extra bonus. 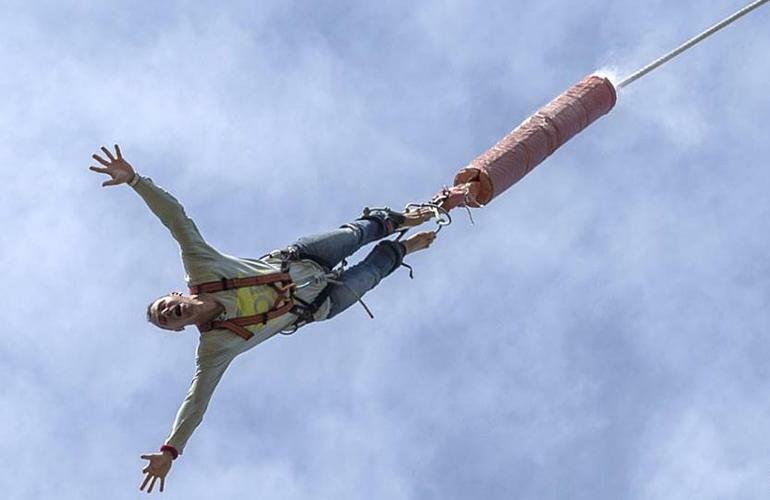 People all over Europe have come to Lloret de Mar to bungee jump in couples, and they all agree it's a perfect way to share an extreme sensation. 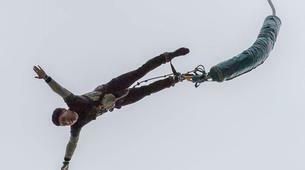 Price for tandem jumps is 105€, which includes 2 people jumping at the same time. During the low season (October to April), only groups reservation of a minimum of 5 are admitted. 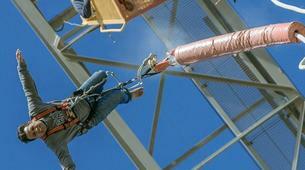 An individual jump from the highest bungee jumping tower in Spain, at a height of 70m. From October to April, the activity is only available on Saturday. Participants must be in good general health. 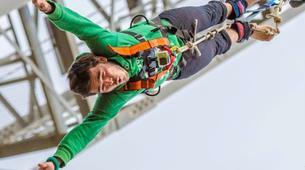 To bungee with Puenting Barcelona, you need to weigh at least 40kgs and not more than 175kgs. Minors between 14 and 16 need to have a written authorization and be accompanied by their parents. Adults over 55 must have written authorization by their doctors. You will be asked to sign a document that confirms you're capable of executing the jump. 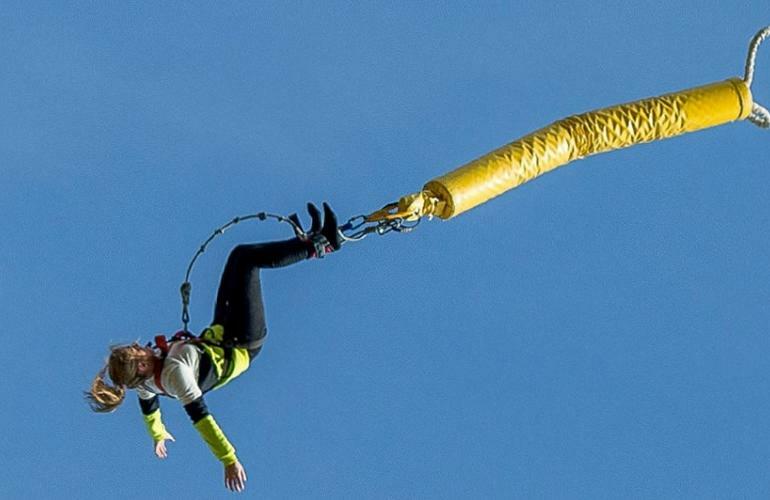 Bungee Jump in Catalonia and enjoy your couples getaway in a different way! 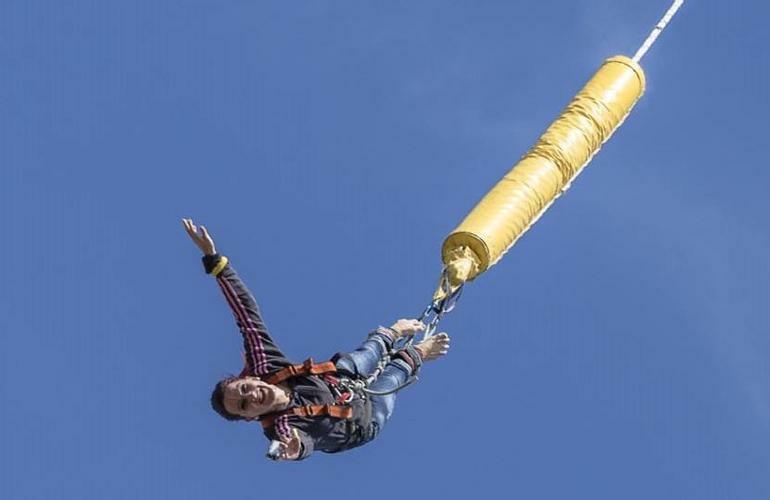 Price for tandem jumps is 105€ per jump, which includes 2 people jumping at the same time. When booking, please select the number of jumps that you want to do, not the number of participants. You will need to show and identification (ID, or passport). Price for tandem jumps is 105€ per jump, that is 2 people jumping at the same time. When booking, please select the number of jumps that you want to do, not the number of participants. Oui le saut à l'élastique est à la hauteur ! (lol) mais 70 mètres me parait finalement un peu court. If you go to lloret de mar, you don't want to miss this activity.